pleaser, in looks, loyalty and love. The Siberian Husky is certainly a crowd pleaser, in looks, loyalty and love. Their adorable and hypnotic eyes and almost wolf-like appearance make them a popular breed among many dog lovers. 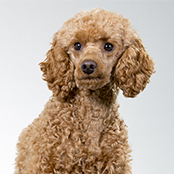 However, this stunning breed is not for the first-time dog owner. Being incredibly intelligent a Husky requires strong leadership and experience to prevent problems. Being a very independent breed, the Husky can be a bit of a challenge to train. However, in the hands of an experienced and loving owner they can be encouraged to listen during training sessions, and at home. Strong leadership is important as too consistency. As with all dogs it is vital that you train your Husky in basic obedience. Known as the Houdini of the humble backyard, if your Husky does escape and they are not well-trained, you could have a very scary and dangerous situation on your hands as your lovable Husky bounds towards traffic. 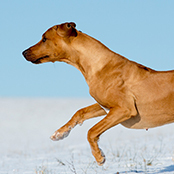 It is important with this breed that you are consistent with your training despite the stubbornness. Keep your sessions fun and entertaining and utilise some creativity to keep the interest high. The breed requires training right from the word go…so enrol in a local puppy-preschool class immediately and group obedience once your pup is full vaccinated. 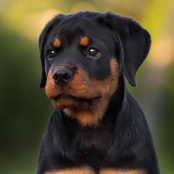 Sadly, many owners are attracted to this lovable breed because of their looks and loyalty and then pass on the training. Without correct training your Husky may grow into a very boisterous and destructive dog. Training is paramount with this breed. If you do not have the time for adequate and consistent training, perhaps consider another option. Husky’s do not require a fair amount of grooming all year round, and the breed will shed so be prepared with good quality lint brushes and a fair bit of white hair on your black clothes. They will also do two big sheds a year during seasonal changes. This means they drop a lot of hair very quickly. During these times; it’s a good idea to invest in specially designed coat removal comb to help eradicate the dead and lose hair easily. Once a week grooming is a must, and daily brushes during the seasonal sheds. Huskies are not a typically ‘smelly’ dog breed, however will benefit from a monthly wash to keep the coat and skin in top condition. 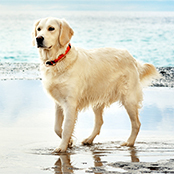 The breed is highly energetic and will benefit from a good daily intensive run. However, some experts will argue not to Husky off leash due to their huge prey instinct and independence. But all dogs are different. If you are confident in your recall (AKA ‘come’) and in your dog’s skills at listening during distractions a good off leash in a safe area can be done with success. Twice daily leash walks are ideal, so again training your Husky to walk nicely on a leash is important in the early days. They make wonderful on-leash running buddies. If you are having problems seeking professional one-on-one advice is recommended. A bored, untrained Husky will become destructive so it is imperative you exercise your pup and grown-dog correctly to avoid issues. This breed is very intelligent and almost cat like in their personalities. This can make training a challenge and for this reason they are not recommended for unexperienced first-time dog owners. This intelligence can see them getting bored very quickly and finding their own highly-energetic and destructive entertainment (cue the pillow fluff here). Huskies are also known for their love of roaming. So, secure fencing is a must when considering with this breed. Also consider boredom busting ideas for when you are not at home to prevent destructive behaviour. Have a special kennel area for your dog will also help with escaping and destructive tendencies however keep this area fun and do not keep your precious pup in this area for endless hours. Consider rotating toys daily and fun activities to do like tug-o-war or a treat-ball. Also ensure this area is protected from the weather and has adequate shade, shelter and water. But remember; without the correct levels of exercise and entertainment your pup will always be destructive, regardless of the breed. The Husky is well known for their lovable nature. They will blend with any family willing to love and cuddle. They are great with kids and other pets, however like with all breeds please teach your children how to correctly behave around a dog. They are very loyal and loving toward their ‘pack’ and will not take to being left for endless hours alone in their backyard. This can lead to destructive behaviours and roaming. Huskies are the clowns of the dog world, they don’t tend to bark rather howl with many being noted for almost speaking. It is not uncommon to hear of a lovable Husky saying ‘no’ to their owners or even ‘I love you’. Early socialisation and training is a must to ensure a happy healthy dog. Huskies do not mind the cooler weather however, care must be taken in warmer dryer months. Many Husky owners decide to completely shave their dogs to help with over-heating during summer. Please ensure you dog is kept out of the blistering heat of the day with adequate shade and water. With this breed good fencing is of the utmost importance as they are well noted for being roamers. Check the fence-line weekly for any digging spots or holes and always ensure your microchip details are up-to-date. Huskies will thrive in small homes, large homes and even apartments if trained and exercised correctly.